Have your insecurities ever driven you to writer’s block? How can we use feedback, rejection, and self-encouragement to break out of writing-related anxiety? We unpack all of that and so much more with today’s guest Tamora Pierce. Tamora, a #1 New York Times bestseller and recipient of the 2013 Margaret A. Edwards Award, is the author of Alanna: The First Adventure, Lady Knight, Wild Magic, and many, many more. 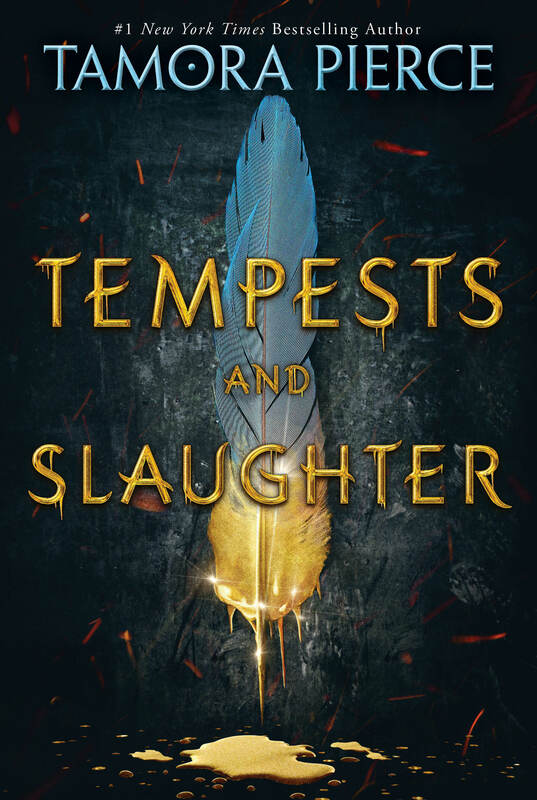 Her most recent novel, Tempests and Slaughter, begins the journey into her new series called The Numair Chronicles and is out on the shelves now. In our conversation, Tamora takes us on a journey throughout her life and describes the moments she first fell in love with writing, found her passion for crafting female heroes, what she’s learned from rejection, and much more. We talk about creative block and how we can encourage ourselves to believe in our craft. Her wisdom shines through as she discusses her research process into the world of magic, how she builds dynamic characters, and how she approaches writing more serious topics for young adults. Say ‘Hi’ to Tamora Pierce! Tamora Pierce is the winner of the 2013 Margaret A. Edwards Award for Lifetime Achievement in Young Adult Literature, the RT Book Reviews Career Achievement Award, and the 2005 Skylark Edward E. Smith Memorial Award for Imaginative Fiction. She is a New York Times and Wall Street Journal bestselling author of more than 28 fantasy novels for teenagers, and has been Guest of Honor at numerous conventions, including Worldcon 2016. She has written comic books, radio plays, articles, and short stories, and currently devotes her minimal free time to local feline rescue. TORTALL: A SPY’S GUIDE, a collaborative effort with other experts on her Tortall universe, came out in October 2017. It was followed in February 2018 by the first in a three-book Tortall series, TEMPESTS AND SLAUGHTER. Tammy lives in central New York with her husband Tim Liebe and their uncountable number of cats, two parakeets, and the various freeloading wildlife that reside in their backyard.